Visiting Melbourne is nothing but always a wonderful experience for me. One of my favorite cities in Australia, it is always a pleasure to visit this city. Whether I’m on a vacation or just a layover, Melbourne is a place that I always enjoy visiting. Just like during my recent trip when I was on a layover before heading to New Zealand. 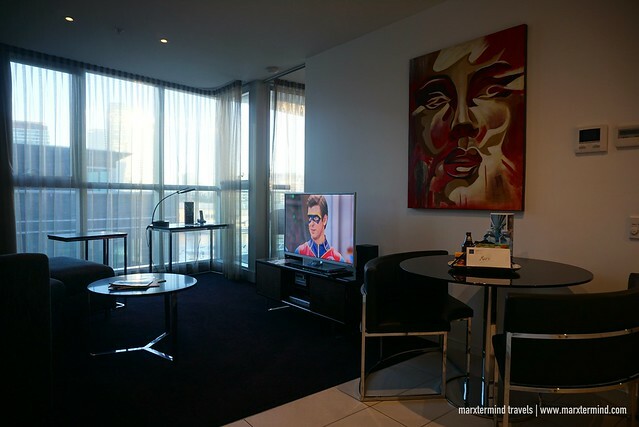 I enjoyed my visit even more because of my experience staying at The Sebel Melbourne Docklands. I had two separate layovers and made this apartment hotel as my base. 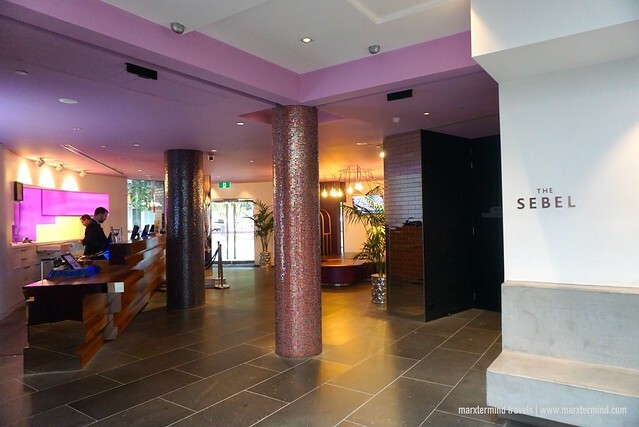 The Sebel Melbourne Docklands features tastefully appointed waterfront accommodation and excellent facilities giving me the comfort and convenience I wanted during my stay. The apartment hotel also has an ideal location for me. It is in the Docklands, an area that I found quiet and not too busy. It is also easily accessible from the city center by riding the free tram. Southern Cross Station is also just a 5-minute tram ride where the SkyBus is, a convenient bus transfers from and to the airport. Taking the SkyBus, I was able to arrive at the hotel around 6:00pm. I went straight to the front desk and presented my passport to check my room reservation. The staff warmly greeted me. Then, she asked my credit card for the security deposit. After a minute or so, the staff handed me my key card. The staff also ushered me to my room, which I’ve found so kind of her and a nice gesture. 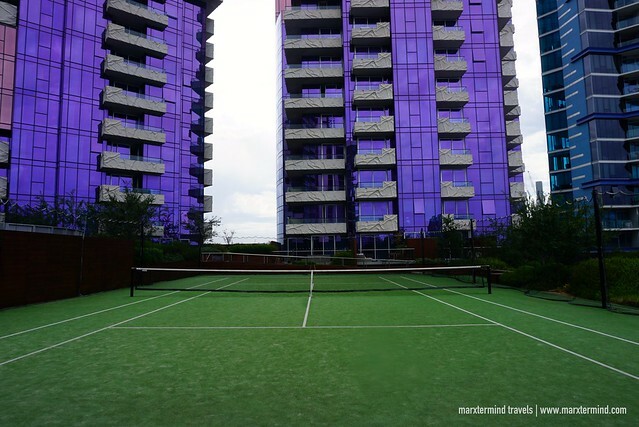 The Sebel Melbourne Docklands offers three types of accommodation – Studio Apartment, One Bedroom Apartment and Two Bedroom Apartment. Each apartment is elegantly decorated and offers a huge space. You may check this link for room rates and availability. My room was a One-Bedroom Apartment. It was clean and spacious. It has a bedroom, living and dining areas, fully equipped kitchen and a bathroom. The bedroom looks fresh and cozy. It has a king-sized bed, a bedside table and a wardrobe. The living area is airy. It has a sofa, dining table and chairs. There’s also a coffee table and desk. Other amenities are LCD TV, music entertainment system, phone and high-speed Wi-Fi connection. The room has also a private balcony overlooking the harbor. I love this little spot for people watching and cherishing the view while I ate those treats that the hotel gave to me as a welcome present. 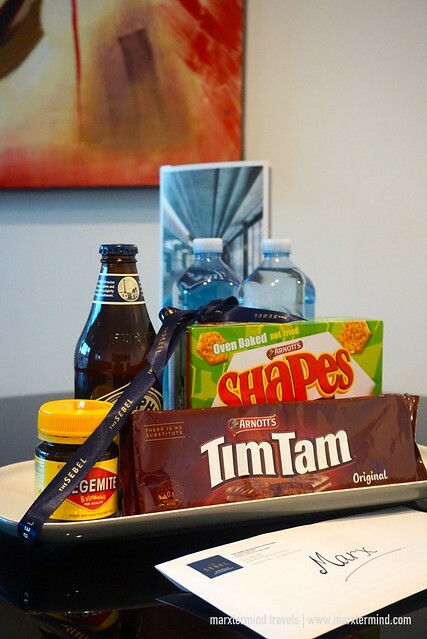 The hotel gave me snacks and bottles of beer that are original from Australia. 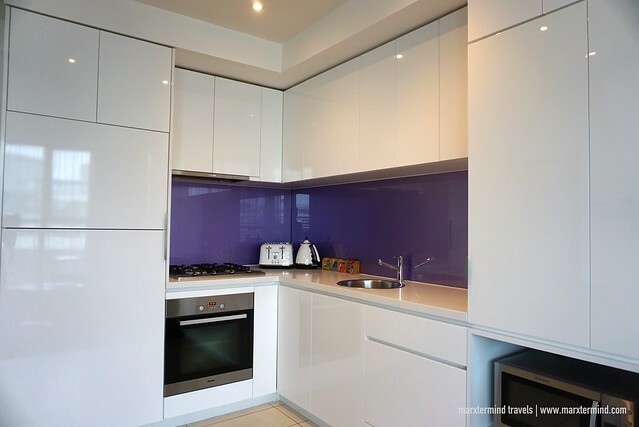 If you love cooking, the apartment also has a full kitchen. There is refrigerator, oven, stove top, microwave, toaster, kettle, tea and coffee amenities, dishwasher and dishwashing amenities. There are also laundry facilities, iron and ironing board. 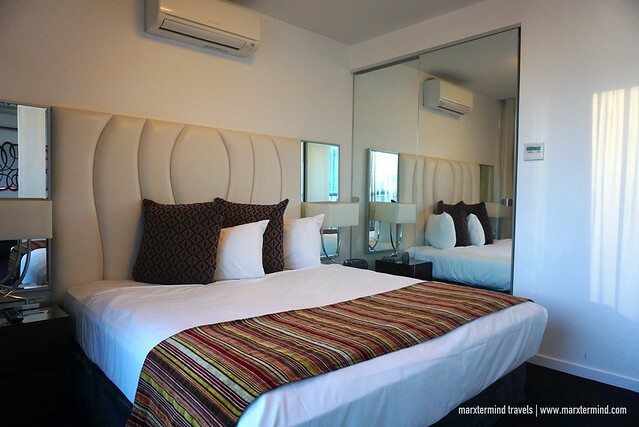 A one-bedroom apartment with well-appointed facilities, I was able to have a comfortable stay. 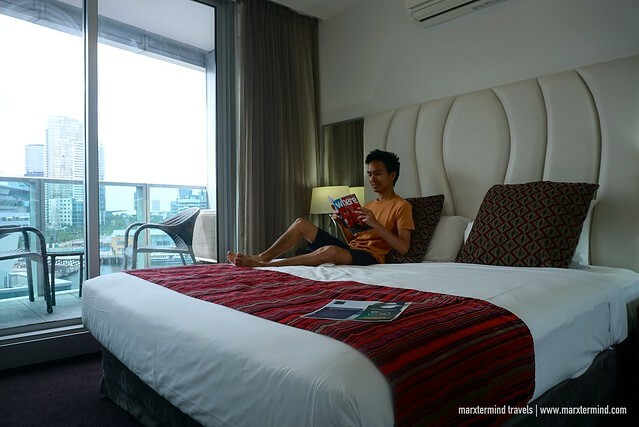 More than the cozy bedroom, I appreciated having these extra amenities in the apartment – the private balcony and huge living area. I was also able to take advantage of the laundry facilities. 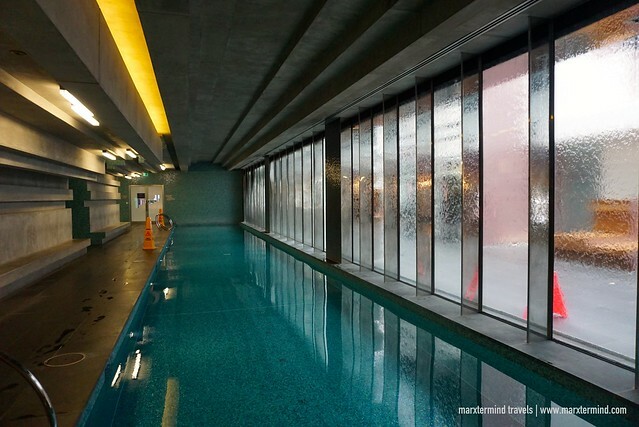 The Sebel Melbourne Docklands also has other thoughtful amenities for guests to enjoy. The apartment hotel has indoor pool, fitness center and library. There are also computer stations in the lobby. I also learned about the rooftop. There’s a tennis court and barbecue garden. The apartment hotel also has boardroom venues for meetings and conferences. This is more suitable for guests who are staying for a business trip. For dining option, there’s a café and lounge. It serves unique cuisine blended with modern Australian and European influence. This is what I love about apartment hotel. Facilities are complete providing guests a more rewarding and convenient vacation. 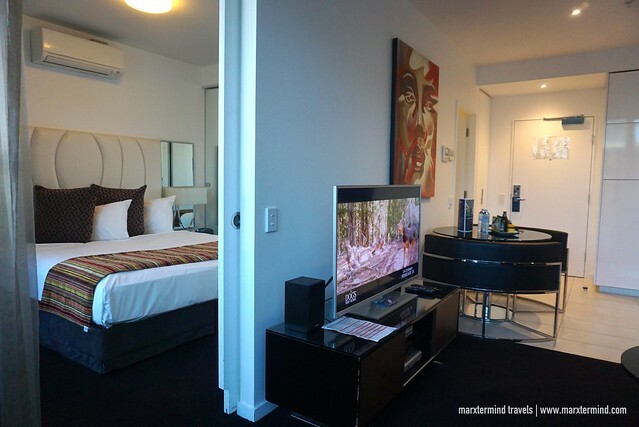 While staying at The Sebel Melbourne Docklands, I had a wonderful time and comfortable experience. Staff was also friendly and accommodating. 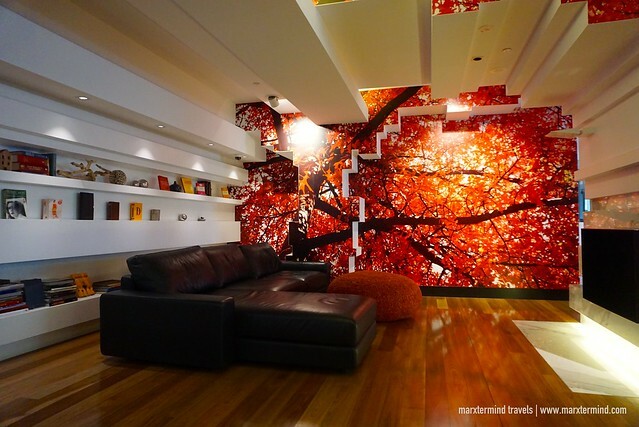 Absolutely, this apartment is a perfect place. 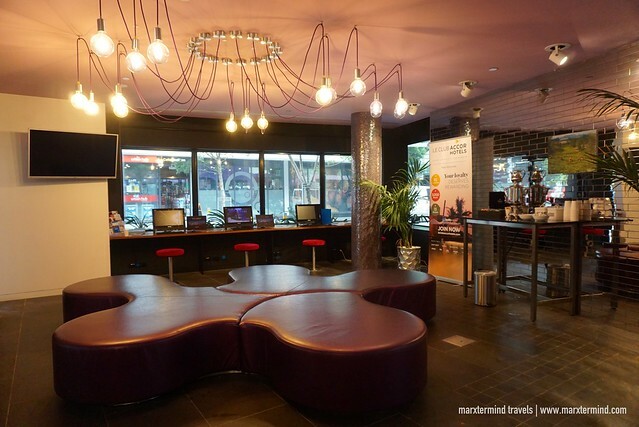 It provided me everything I needed to have a comfortable stay in Melbourne. 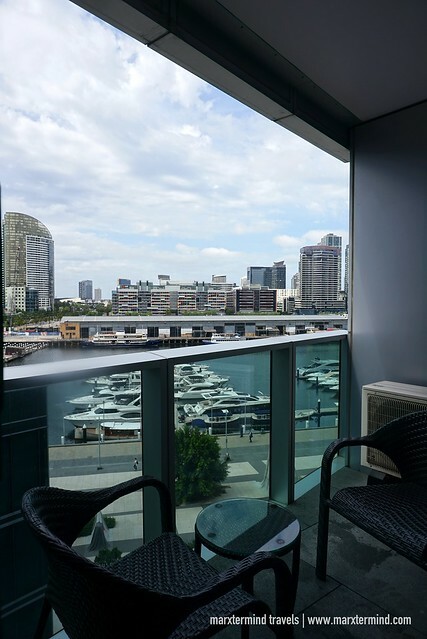 A modern apartment hotel on the Docklands, it features spacious and elegantly decorated apartments with comfortable bedroom, kitchen facilities, dining area and bathroom. 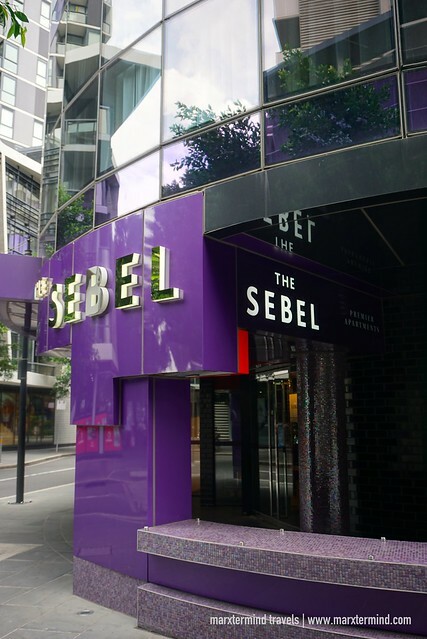 The Sebel Melbourne Docklands offers a perfect base for work, relaxation and discovery. Previous story How to Apply for Australian Transit Visa Online?